October 1 kicked off the annual, all-Ukrainian, design competition Ukrainian Wood Fashion 2017. We continue to attract talented designers and architects to work with Ukrainian door manufacturers. The competition is a wonderful place to meet people. For 3 years, according to the results of the Ukrainian Wood Fashion project, 11 design doors were launched by the advanced manufacturers of Ukraine. Today, consumers have the opportunity to purchase Made in Ukraine design doors at affordable prices and the highest quality. Leading Ukrainian producers can now add to their assortment with an exclusive product, rather than copying models and repeating from year to year. The project also opened up new opportunities for designers who, in addition to cash prizes, have the opportunity to earn royalties from the sales of each unit of their design door. Traditionally, the main organizer of the competition is the company Modus. This year the partners for the first time were 3 companies, which undoubtedly support the idea of ​​the competition – the development of Ukrainian design. What do we expect from the participants? As always, we are ready to consider even the most daring and non-standard design ideas of doors. But do not forget about the technical task. Before starting to create, we recommend that you familiarize yourself with the assortment of companies in order to understand their production capabilities. Only after that start painting the door, which, in your opinion, is missing in the product line of the company! Winning this year will be a minimum of 3 works, as all companies – partners of the contest are interested in choosing a door that will supplement their range. The best door designs will be put into production, and their author will receive a cash prize of UAH 15,000. and will enter into a contract with the manufacturer to receive royalties from sales of each unit in the amount of 2%. How much time is there? You have no chance to say: “I did not have time!”. To create a unique design of doors, there are more than two months. Works are accepted from October 1 to December 4, 2017. Information partners: “European School of Design”, “Kiev University of Construction and Architecture” and the journal NM House. The company “Domberg” is a partner in the contest. And wishes you a victory! 1. Design a new model of a door with or without decor elements to be put into production. Style: the manifestation of your imagination and improvisation (we do not limit the choice of classical, modern, minimalism, hi-tech, modern, techno, provence, etc.). 2. Doors must be single-leafed. The standard size of the canvas: height – 2100 mm, width 800 mm; without limiting the size of the door frame. 3. It is possible to use various decorative elements. 4. 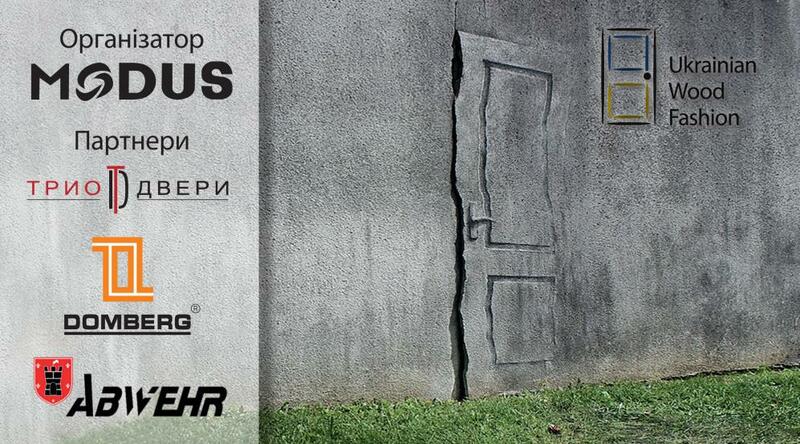 This year, the models of “entrance doors” will also take part in the competition. Standard sizes vary in this range: height from 2000 mm to 2100 mm, width – from 800 mm and up to 900 mm. 5. The cost of the door is not limited. 6. Doors should be commercially successful. 7. Doors need to be positioned as a key architectural element of the interior, on the basis of which it is possible to build the entire concept of the room. 1. Works are accepted in the following formats: PDF, JPEG, Tiff, EPS. 2. The size of one file can not exceed 2 MB. 3. Each competitive work should have a brief description (how the idea was born, in which style it is performed). 4. Each work can be presented in different angles on separate images. 5. Work can be created only by one participant! 6. To send the contest works, please use the file sharing service and send us a download link. (Possible file hosting us.ua, ex.ua, etc.). The second possible option of sending: you can send the completed application form and work to the mail konkurs@modus.com.ua. 1. In order for the work to be published on the site you need: – fill in all the registration fields of the participant (First and Last, city) – attach the author’s photo – attach a working link to download the contest work. 2. Works sent on weekdays will be published on the site within 24 hours. Older PostDomberg congratulates on the WORLD ARCHITECT DAY!